Snorkel gear, life jackets, snorkel vests, and or Noodles. 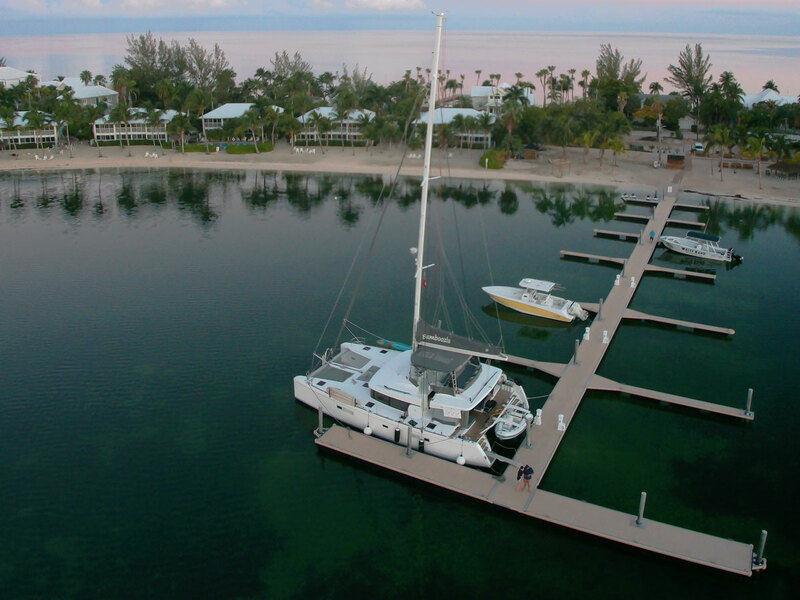 This is a beautiful 52 ft. Lagoon sailing Catamaran, suitable for all trips around the islands. 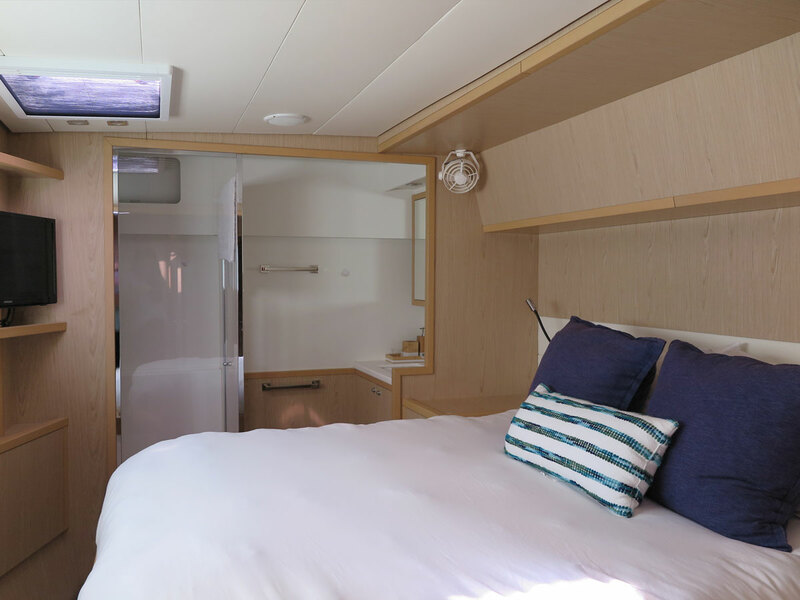 It has four Queen Bedrooms to accommodate a maximum of 14-guests, it is truly the height of maritime luxury! 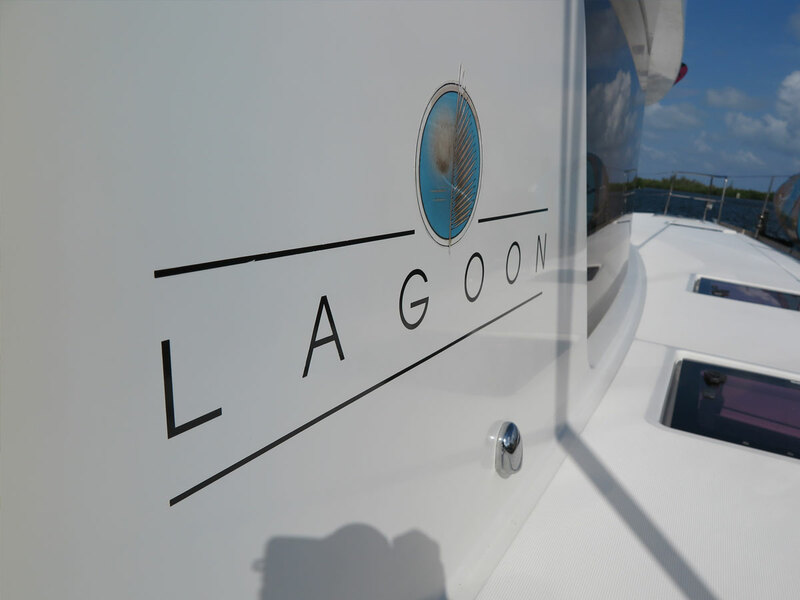 Kept in brilliant condition by the crew, this customized lagoon was designed with space and luxury in mind. A full kitchenette with indoor dining complements the two outdoor seating areas (upstairs and downstairs). This model of Lagoon is the result of lengthy discussions between the architects at Van Peteghem-Lauriot Prévost (VPLP), the Italian Nauta Design agency and the Lagoon design department. 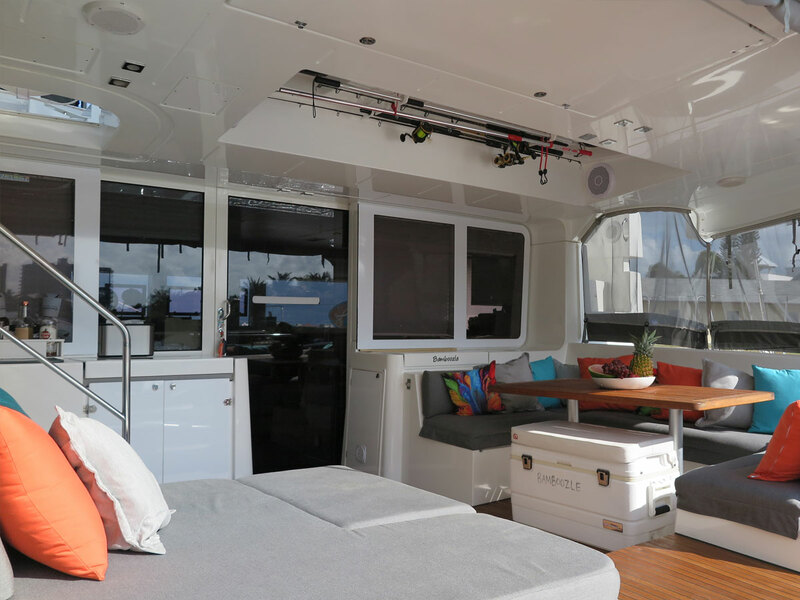 Lagoon catamarans are naturally generous, they provide spacious and convivial living areas, enabling free circulation between interior and exterior while integrating luminous cabins. 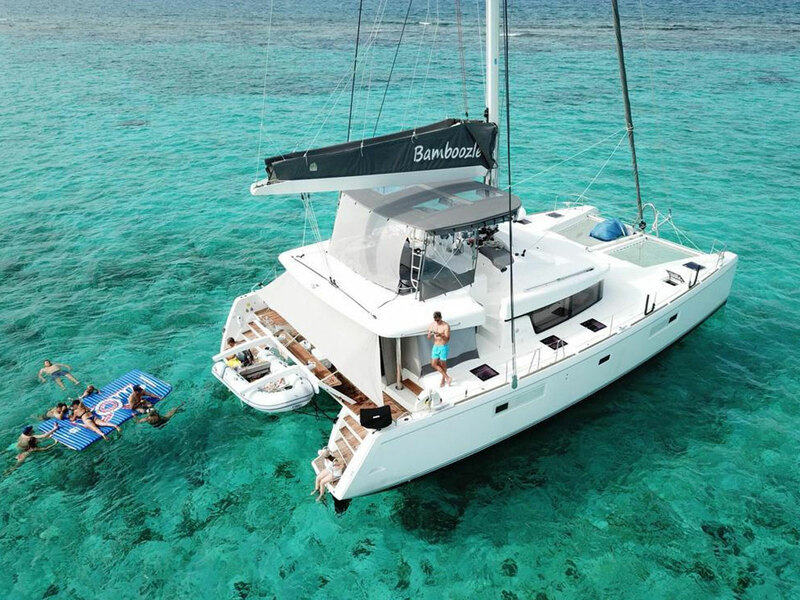 With its diamond-shaped vertical bows, beveled hulls, its levitated deckhouse, and tall rig, the 52 is no ordinary catamaran, but its originality goes a great deal further than just its "outer" appearance, or even its interior layout. Her race inspired designers decided to move the mast further to the aft, allowing for larger sails and greater performance, normal sailing speeds of 7-8 knots are the benefit of this design. You will never be short of space on this large cat. Whether it is a champagne sunset cruise or a week-long family vacation, the crew would love to welcome you on board for a once in a lifetime experience and would love to invite you ready for an ideal affair! 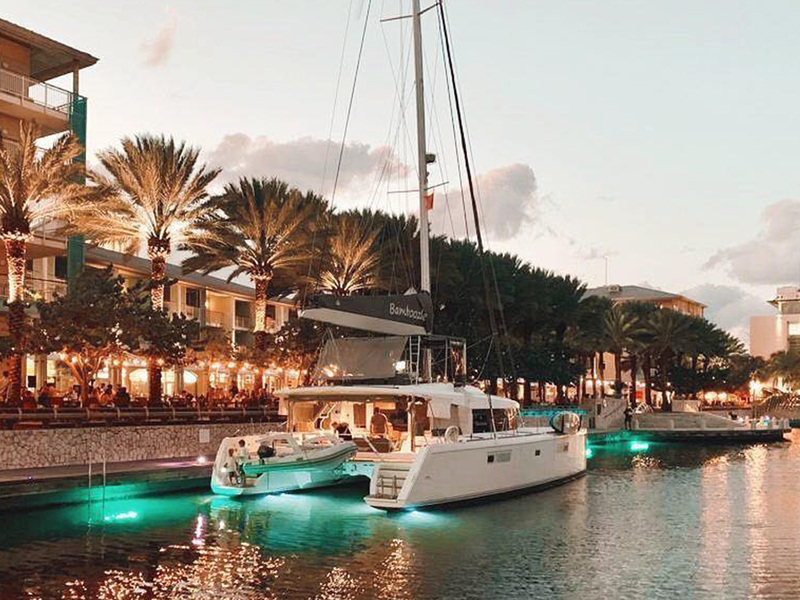 The majority of their excursions are custom and crafted with the goal that you can tailor your experience to yourselves and what you need to see of the Cayman Islands. 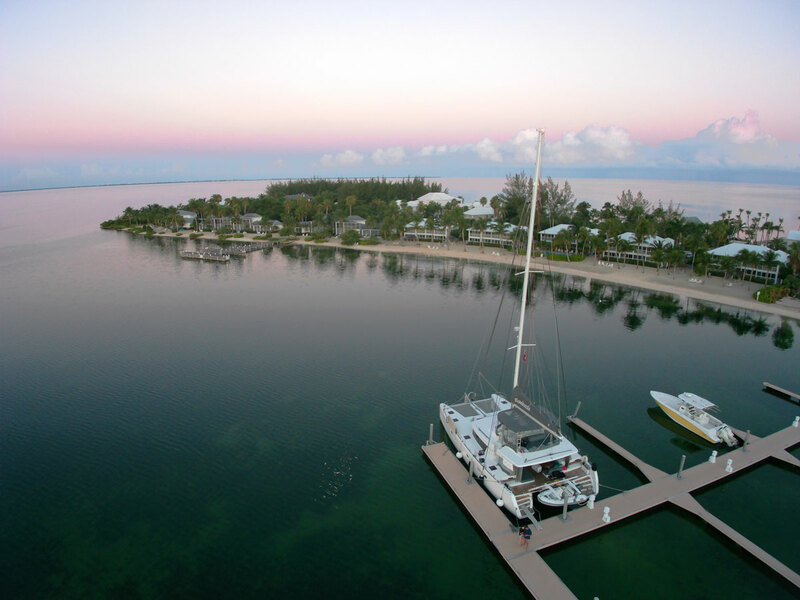 Bamboozle is a spectacular spacious 52' sailing catamaran with a large master cabin and 3 other spacious queen cabins. 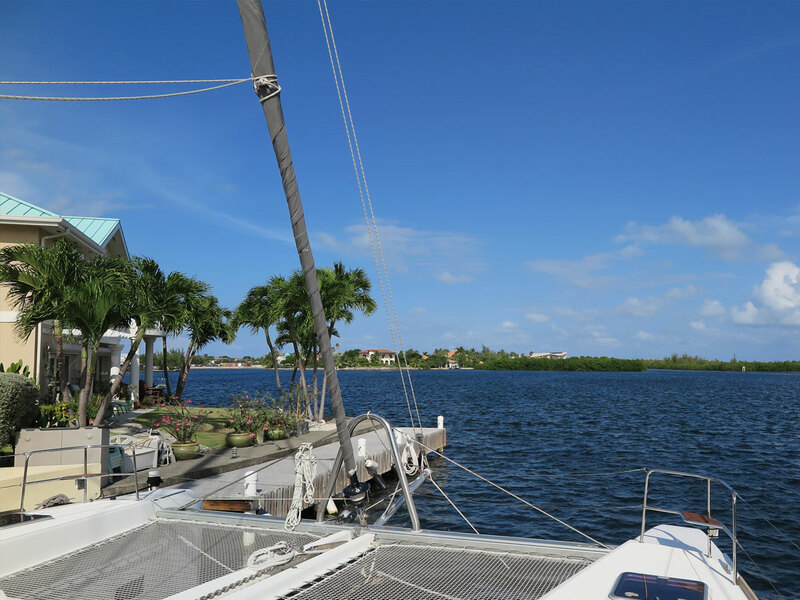 Come on board and experience the beautiful waters of our island. 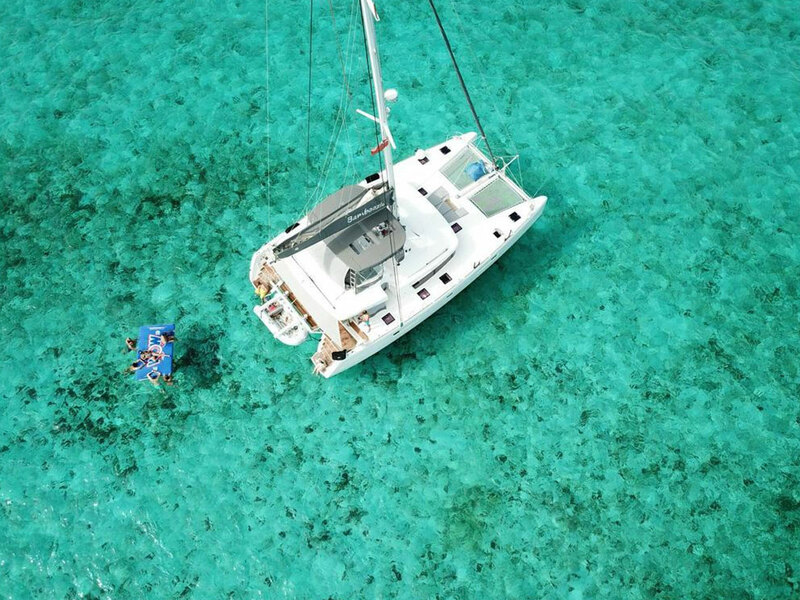 Whether it is a half day, our friendly professional crew can take you on your own unique experience which can include: luxury sailing, cruising, snorkeling, jet skiing, tubing, paddle boarding, Stingray City, Sandbar, Starfish Point, Seven Mile Beach, sunset champagne Cruise and more. Let us help you design the perfect adventure. 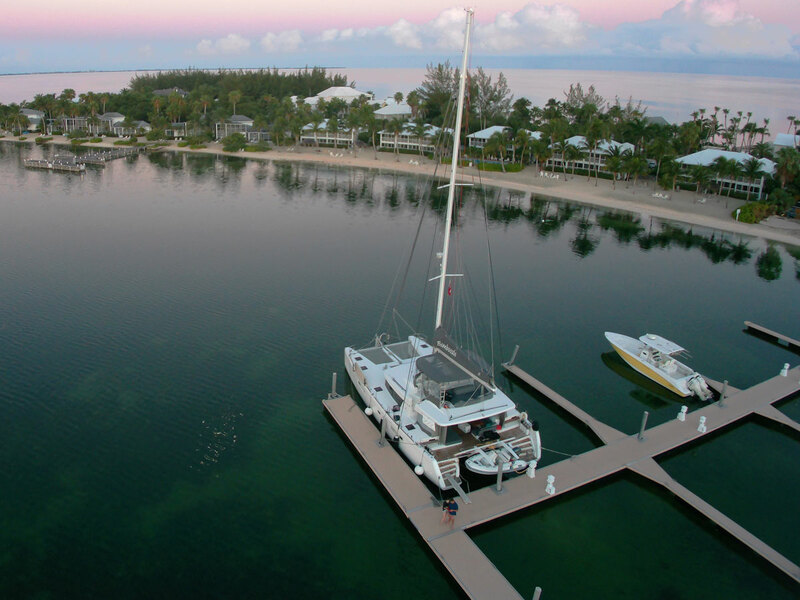 Our boats leave from the Cayman Island Yacht Club. Guests should arrive no less than 10 minutes before departure. 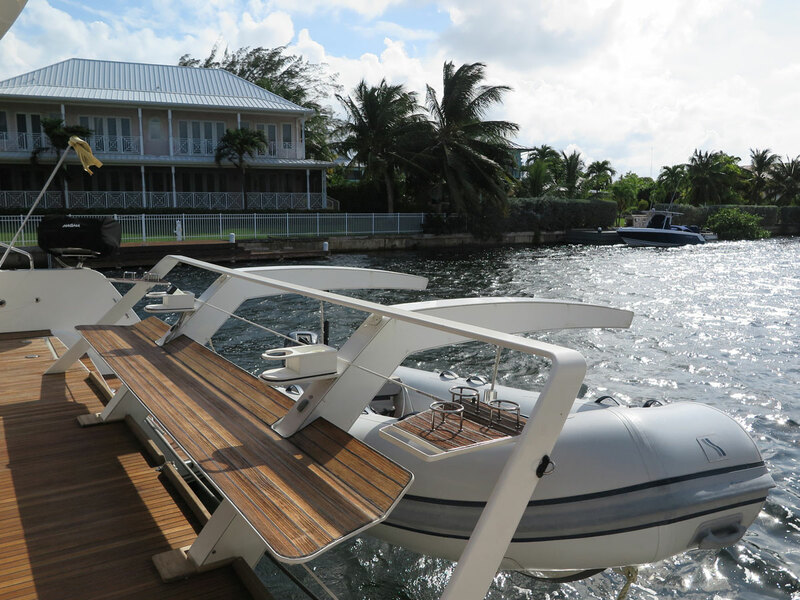 © 2019 Cayman Yacht Charters, all rights reserved.